Phil Harrison warns Valve that, despite its size, it may be entering a "really tough business". 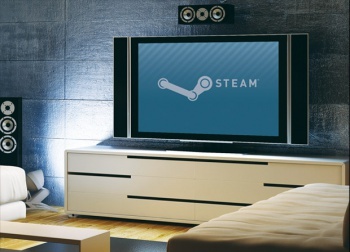 The news of Valve's Linux-powered Steam Box has been making waves in the console space. Even for a company of Valve's size, it's hardly a trifling decision to square off against well-established console players such as Sony, Microsoft and Nintendo. Phil Harrison, Microsoft Studios executive and PlayStation brand veteran, issued a warning to Valve, saying that the company could potentially be in for hard times. "Entering the hardware business is a really tough business," Harrison cautioned. "You have to have great fortitude to be in the hardware business and you have to have deep pockets and a very strong balance sheet. It's not possible for every new hardware entrant to get to scale." The former President of SCE Worldwide Studios suggested that Valve might be successful at a smaller scale, but added that it was "very rare" for a new entrant to ramp up to moving tens or hundreds of millions of units. "It's not just having a great brand or a great software experience. It's about having a supply chain and a distribution model and a manufacturing capacity and all the things that go with it. It's a non-trivial problem to solve and it takes thousands of people to make reality," he continued. Harrison also stated that he "admired" Valve and their achievements with digital distribution, as well as their role in the industry. However, he hesitated to use Steam as a benchmark of success. "Xbox Live as a foundation, the reach we have and the experience we deliver is a great place to build on." Cautionary words aside, Harrison saw the increased competition from Valve, Nvidia and Ouya as "a win for everybody" in the end. "Any new entrant, without being specific to any company or brand or product, to the games industry is ultimately a good thing, because it helps validate, grow and enhance consumer excitement and consumer interest in our category."